Contains taurine, caffeine and B-group vitamins. 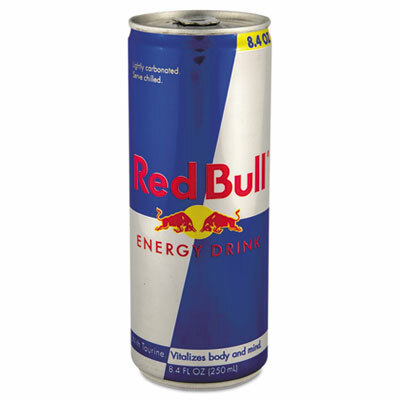 Revitalize mind and body with Red Bull®: It gives you wings®. Medical studies show that it makes you feel significantly more energetic, while simultaneously improving your ability to focus and concentrate. Contains taurine, caffeine and B-group vitamins. Click here to see more Sports Drinks!